One of the BSOD errors that disturbs Windows users a lot is the INACCESSIBLE_BOOT_DEVICE Windows 10 error. It usually occurs during Windows startup. Why is this INACCESSIBLE_BOOT_DEVICE error a notorious one? Because it would not let you boot into the Windows operating system. This restricts users to apply usual measures to fix the error. However, there are ways to rectify this problem without entering your usual OS. So, what usually causes this kind of BSOD error to show you INACCESSIBLE_BOOT_DEVICE error message? The main cause found to be causing this error is Windows packages. If you have recently updated Windows 10, or if you have reset your Windows 10 OS, this error is more likely to trouble you. Faulty hardware or lose hard drive connection is found to be other leading cause to show Boot Device Inaccessible in Windows 10. 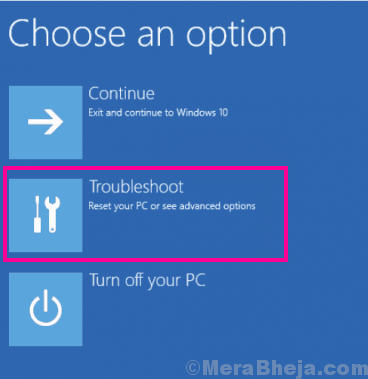 How To Fix INACCESSIBLE_BOOT_DEVICE Windows 10 Error? There are several methods that could solve the INACCESSIBLE_BOOT_DEVICE problem within minutes. But at times, when the reason is unknown, you might need to try several methods. I have prioritized the list according to the top solutions mentioned by users who faced this problem. Let us begin. Step 1: Boot your PC in Windows RE mode. For this, turn on your computer, and as soon as you get this INACCESSIBLE_BOOT_DEVICE error, hold the Power button of your PC till it turns off. It will take around 5 seconds of holding the power button. 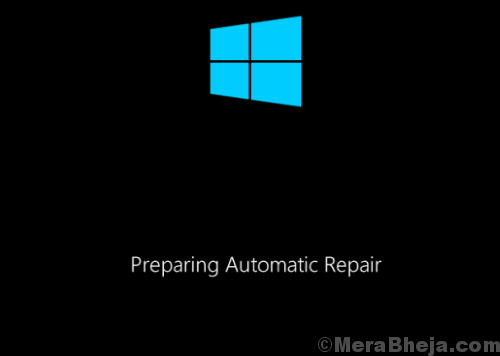 Now repeat this process a couple more times till you get the Preparing Automatic Repair screen as shown here. Wait till the diagnosis is complete. Note: The Auto Repair screen may appear in the very first attempt as well. If it does, do not restart again. Step 2: You will get the following screen after the diagnosis is complete. Click on the Advanced Options button to enter Windows RE mode. Step 3: From the three options you get on the next screen, click on the Troubleshoot option. Step 4: In the next screen, select the Advanced Options. Step 5: Here, from the options, click on the Command Prompt option. Step 6: This will open the Command Prompt in Admin mode. Here, you can check in which drive Windows is installed. Usually, it’s installed in the C drive, but it’s never a bad idea to make sure. 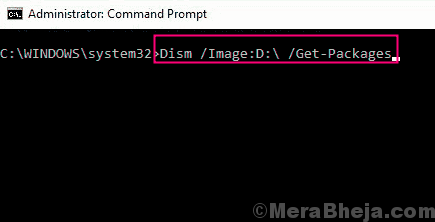 For this, simply type dir in Command Prompt and press Enter button. It will show in which drive Windows is installed. In the above command, C stands for the drive in which Windows is installed. If Windows is installed in D drive, replace C with D.
This will pull up the installed as well as pending update packages of Windows. Step 8: From the list, identify the pending as well as the latest installed packages. You can identify the pending packages by the status code: Install Pending. To identify the latest package that was installed, check the install date. In the above command, replace [name of package] with the actual name of the package to be removed. Uninstalling the pending and latest installed Windows package may take some time. Let the process complete. Once it is done, close the Command Prompt, then restart your PC in normal mode. This will most likely resolve the INACCESSIBLE_BOOT_DEVICE BSOD error in Windows 10. If it doesn’t try the method #2.
the INACCESSIBLE_BOOT_DEVICE error is also connected to old device drivers installed on your PC. 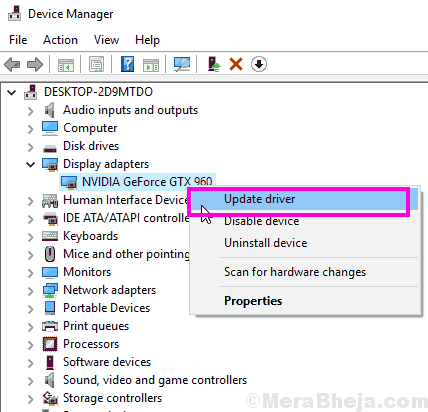 You can update the device drivers by booting your PC in Safe Mode with Networking. To boot PC in safe mode, start your PC and as soon as it starts, keep pressing the F8 key on your keyboard repeatedly (with a gap of 1 second) until you get the Advanced Boot Options screen. From the options, select the Safe Mode with Networking option and press Enter. Step 1: Press Windows + X keys together to open Win + X menu. From there, you can select the Device Manager option. 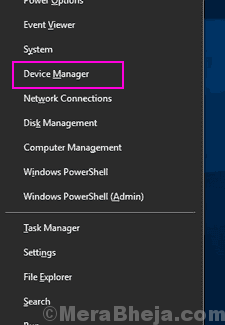 Alternatively, you can just type Device Manager in the Start menu search bar, then click on the Device Manager option from the search result. Step 2: First of all, you need to update the Graphics, Network, and Audio drivers. Expand the respective options, the right click on the driver. From the right-click menu, select the Update Driver option. 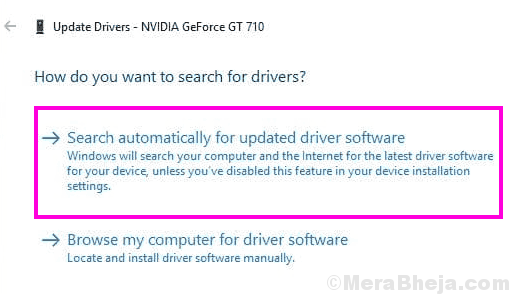 Step 3: This will open a new window, where you need to select the Search automatically for updated driver software option. Your PC will begin looking for an updated version of the driver. If found, the driver will be updated. Repeat the Driver Update process for all three Graphics, Network, and Audio drivers. When done, restart your PC in normal mode. If you are still getting the same INACCESSIBLE_BOOT_DEVICE error, then go ahead and boot your device in Safe Mode with Networking mode again and carry out update process for all the drivers. Once the update is complete, restart your PC again in normal mode and see if this works. 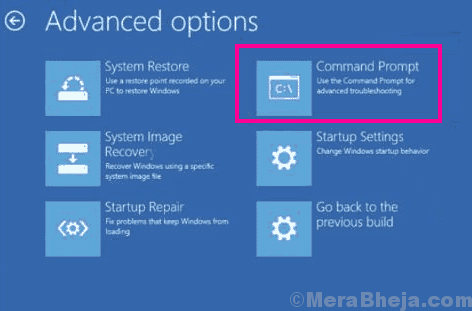 Step 1: Repeat Step 1 to Step 5 from the Method #1 to open Command Prompt in Windows RE mode. Here, C stands for the name of the drive in which Windows is installed. 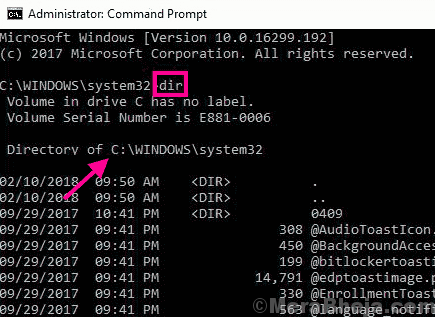 If you have Windows installed in D drive, replace the C with D. To find out which drive has Windows installed in it, we carried out this step previously in Method #1, Step 6. Let the scan complete, and let it fix the corrupt files found if any. When the scan is complete, restart your computer normally. Did this step fix the Windows 10 INACCESSIBLE_BOOT_DEVICE BSOD error? If not, give the next method a try. Any external memory device connected to your PC might be the reason for the INACCESSIBLE_BOOT_DEVICE BSOD error to show up. As silly as this may sound, people tend to make this mistake unknowingly, then facing this issue afterward. Just make sure that any external hard drive, flash drive, or any type of external memory device is not connected to your PC while it starts up. If you have one connected, remove it, restart your PC normally, and if this step works for you, don’t tell anybody about it. Users have also reported that starting their PC in Safe Mode, then restarting PC in normal mode worked for them. Check out the Booting PC in Safe Mode with Networking section in Method #2 to boot PC in Safe Mode. Instead of selecting Safe Mode with Networking, just select the Safe Mode option. When in Safe Mode, restart your PC in normal mode and see if your issue was fixed. If not, follow the next step. A rather unconventional method, but a must try method to fix INACCESSIBLE_BOOT_DEVICE Windows 10 error is enabling AHCI mode in BIOS. You might need a helping hand from someone who is good at computers to carry out this method. Why you may need a helping hand for this method is because the steps are not common for all PCs. Depending upon your PC’s manufacturer, the menu options change. However, a typical go around for this process can be followed. To access the BIOS menu, you will need to press either the Esc or Delete keys on your keyboard right when you start your PC. When in BIOS menu, look for Advanced options menu. There, set the AHCI Mode to Enabled, then restart your PC. This method might come in handy if you are a Desktop user. If you are familiar with your PC hardware, you can look into your PC cabinet and check if all the connections of your Hard Drive as well as RAM modules are connected properly. Just to be sure, unlatch the wires and reconnect them where they were. While reconnecting the cables, look out for dust, and try to blow out of dust is accumulated on the connecting ports. When done, try to restart your PC and see if the INACCESSIBLE_BOOT_DEVICE error persists. 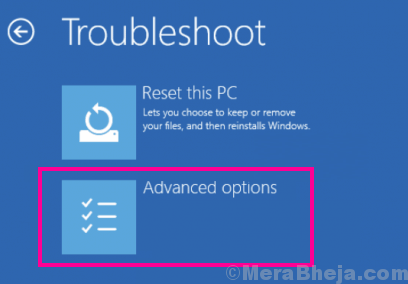 If none of the above methods worked for you, here is one last thing that you can try to get rid of INACCESSIBLE_BOOT_DEVICE error. Reset Windows 10 without removing your personal files. You can also call this method as reinstalling Windows 10 on your PC. Step 1: Repeat Step 1, Step 2, and Step 3 from Method #1 mentioned above. 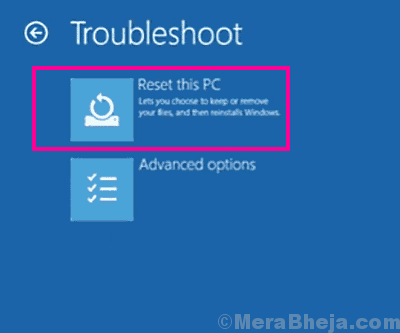 Step 2: From the Troubleshoot screen, select the Reset this PC option. Step 3: In the next screen, click on the Keep my files option. Step 4: This will ready up your PC for a Windows 10 reset. 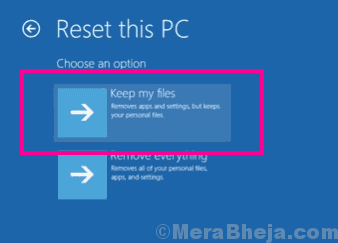 Now follow the reset wizard’s instructions to carry out Windows 10 reset. Now let the reset complete and once it is done, it will start your PC in normal mode. This will most probably fix the error. 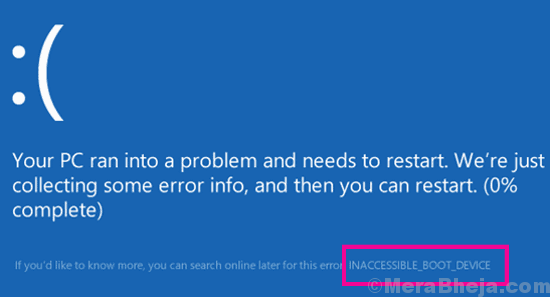 The INACCESSIBLE_BOOT_DEVICE may also occur because of some serious issue on your PC. If you are tired of trying all the methods to fi the error, just contact your PC manufacturer’s customer support and get them to solve this error. You might also have to take your PC for repair if a hardware error is there.